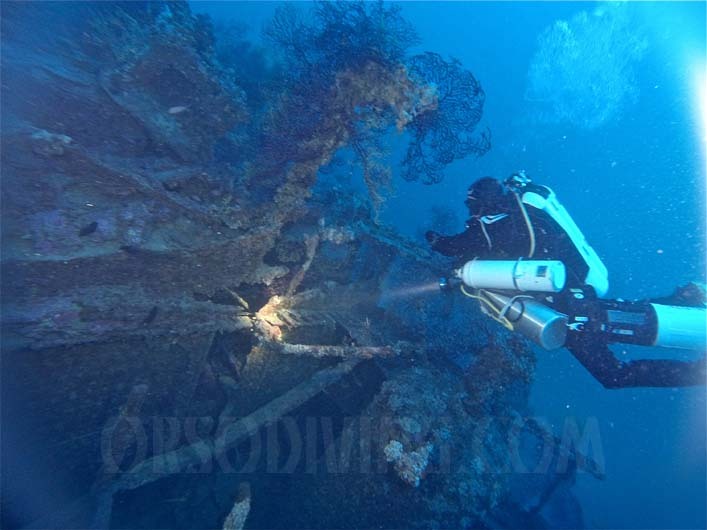 Nautilus is the wreck that is the most dear to us… we were the ones who actually found it on 29/10/2013. 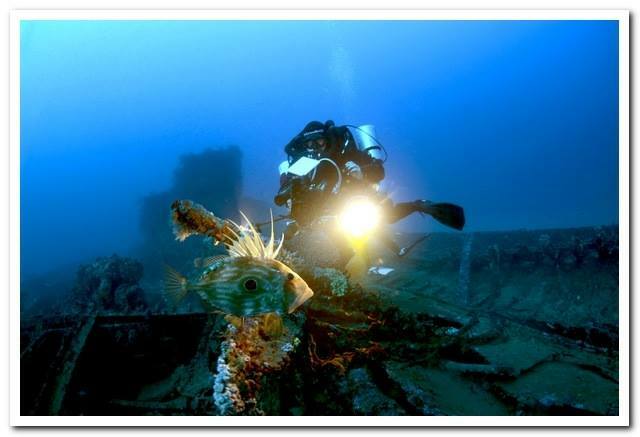 The wreck measures almost 90 meters and it takes a long time to tour it all. The hull is covered with so much two-colored gorgonia that it looks like a forest! According to some sources, it sank on 13/10/1943 according to other sources in 1942. 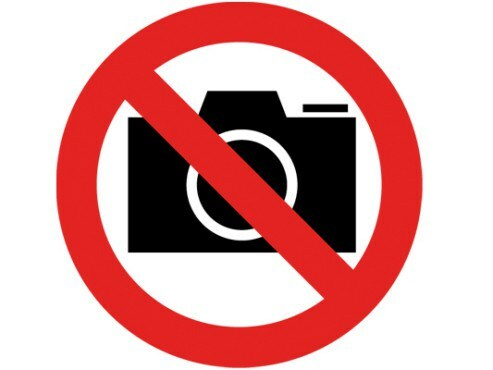 We are currently documenting it. It is still all to be discovered. The Messerschmitt 323 of Caprera is the only example of this type of aircraft currently in existence. It is a colossal plane, the largest aircraft built by the Reich: a colossus with a 55-meter wingspan and six engines. The Messerschmitt 323 was supposed to be used in the invasion of England, transporting tanks, cannons and whole Whermacht companies. This motor-sailboat was steam powered. It sunk during a storm in 1888. 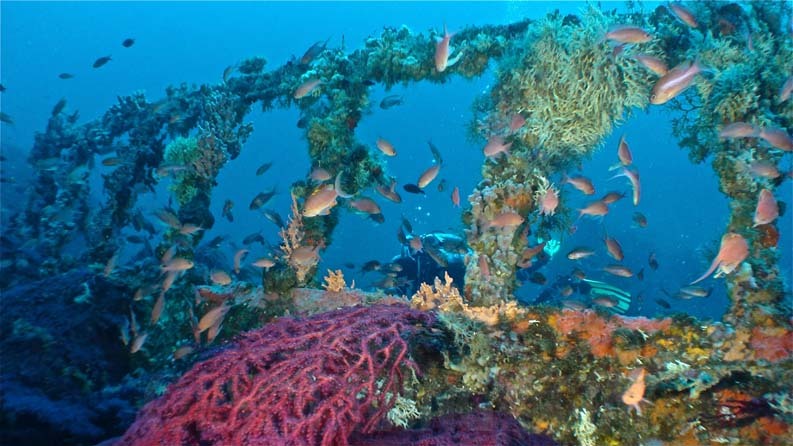 The wreck is located to the west of Spargi Island, lying in a sailing position on a sandy bottom. The exaxct time this ship sunk is still unknown. We do know that at the time of the crash it was carrying cement bags and ammunition. All its parts, winches, propellers and load are very visible. 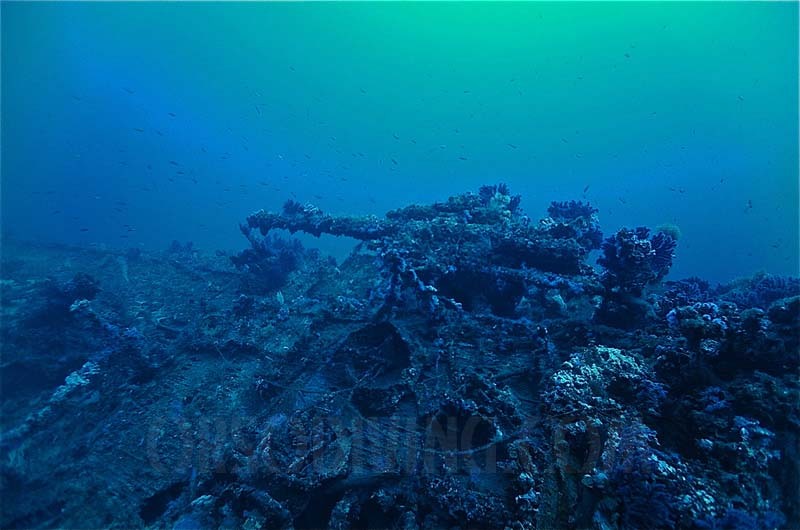 A very nice wreck of which unfortunately we know very little. (Courses call it „unnamed wreck“). The English Minesweeper Felixstowe, Cromarty’s twin ship, is the closest wreck to the OrsoDiving Club, only 15 minutes of sailing. 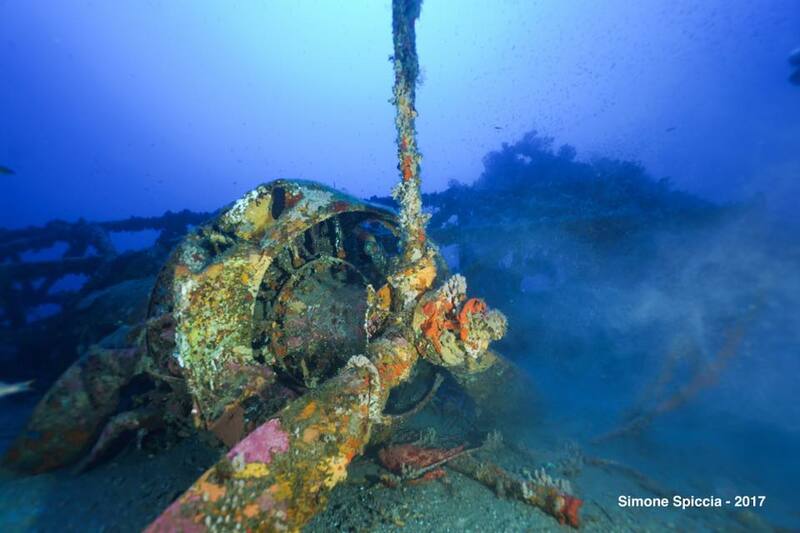 It was sunk on December 18, 1943 by a mine 3 miles from CapoFerro. The British Minesweeper „HMS CROMATY“ was sunk in October 1943. 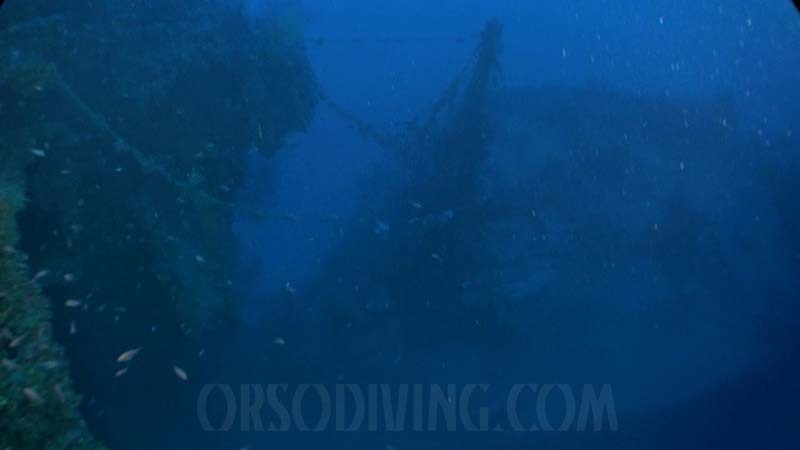 The wreck is in sailing position on a sandy backdrop of 96/97 meters. The bow was hit by a major explosion, probably caused by a mine. The British ship is the FELIXSTOWE twin. This ship hit a mine on 09/09/1943 causing 218 deaths. During the Second World War it had made 208 missions and traveled approximately 70,446 miles. Now it lies over 90 meters, broken into two. In 1917, the „Cassini“ French warship struck a mine in the Straits of Bonifacio. The ammunition bunker exploded by triggering a chain reaction and in 2 minutes the ship sank, causing the death of 107 sailors. The ship is now lying on a sandy backdrop of 73 meters and is divided into two trunks. 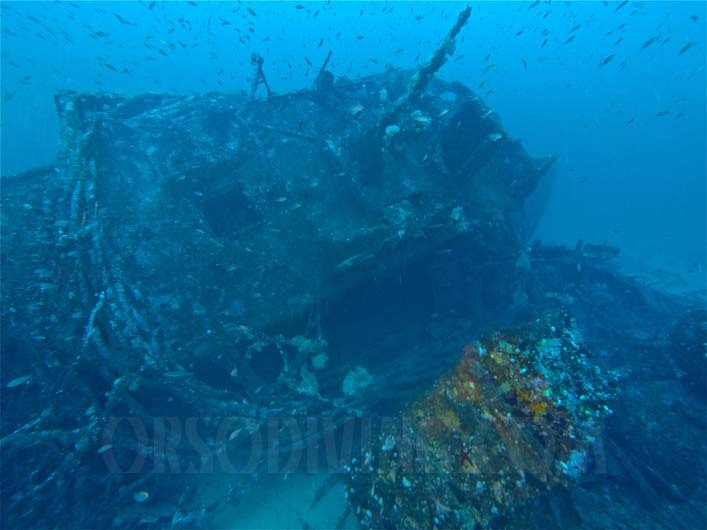 This wreck was only found recently. It is definitely a German barge. It has a very beautiful bridge where many parts of the original structure are still found. 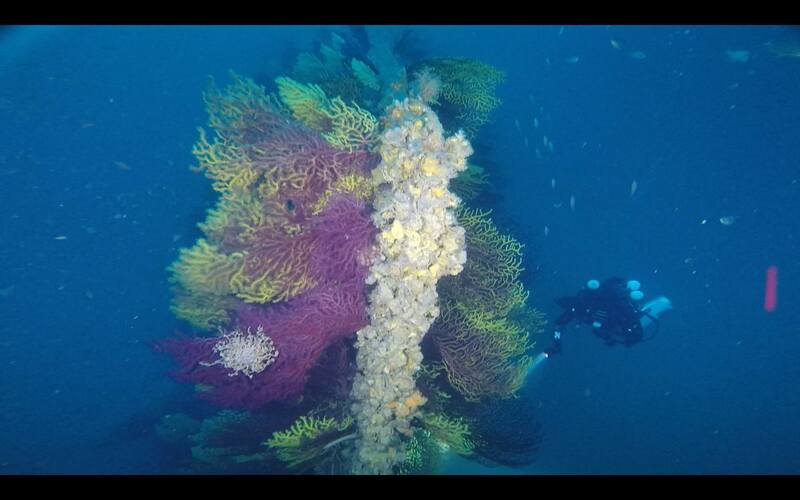 A colorful wreck invaded by yellow and red gorgonians. It is in sailing position on a sandy backdrop. This Greek cargo ship carried a lot of toxic substances. After a long fire that started on July 14, and unsuccessful intervention by the American base of La Maddalena, on July 20, 1979, it was left to sink into the channel between Tavolara and Molara. In the following years part of the pollutant load was recovered. Today it is covered with red and yellow gorgonians.